What's the Difference Between Gold and Silver Tequila? Whether you've visited the scenic beaches of Mexico dozens of times on vacation or have just causally enjoyed margaritas, you've likely heard of gold and silver tequilas. These metallic names differentiate the brown tequila from the clear stuff. But do you know the difference between the two liquors or which goes best for each cocktail? 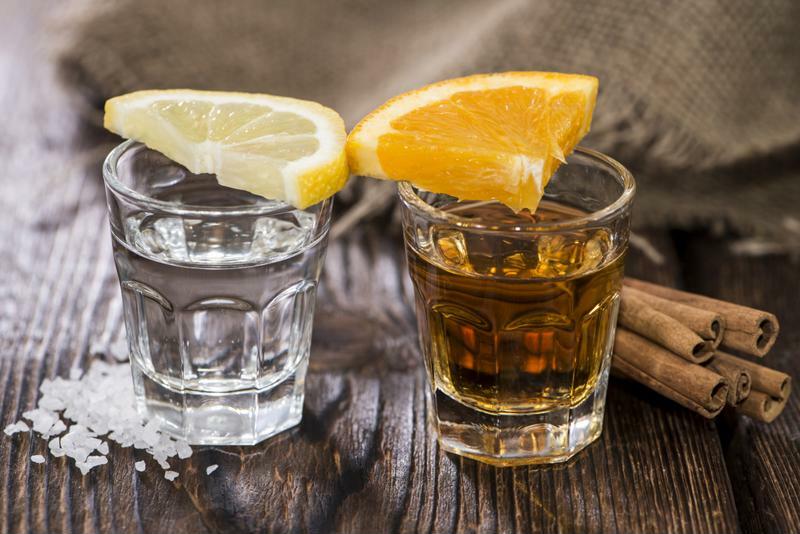 Learn about these two common tequila types so that you can explain the difference to your fellow Parrotheads at the next tailgate. Learn the difference between gold and silver. Silver, blanco or white tequila is the clear, transparent alcohol easily found in most bars or liquor stores. It is characterized by it's completely clear look, similar to vodka. This variety of tequila is bottled directly after being distilled, meaning that it is rarely aged or aged for a very short time. Typically distilled in stainless steel containers, silver tequila can be either 100 percent agave or a mix. Silver tequila can have a harsh taste to some people because it isn't aged like the highest end tequilas that are made to be sipped straight. This does make it work well as a budget-friendly mixing tequila however. Gold tequila is also made from agave and distilled into liquor, but it is more often a mix than 100 percent pure agave. The gold color can come from two places. Either the tequila was aged in barrels that gave it a brownish hue or, more often, caramel or coloring was added to give it the gold hue. Including caramel or other additives also gives the tequila a smoother taste, which makes it optimal for shots. Sometimes, gold tequila is 100 percent agave, however. This is typically made by mixing a silver tequila with a top-shelf, aged tequila. Which is better for a margarita? People usually opt for gold tequila when it comes to margaritas. The sweet, smooth notes of gold tequila can really come out in a frozen margarita. However, if you prefer the taste of a particular brand of silver tequila, feel free to use it. There's no wrong tequila to use in your frozen concoction maker.